The Motorola Milestone has been given its first UK release date - and that day is today. Clove has beaten other online retailers to the punch by offering the new XT720, claiming that the new device is shipping today. Motorola confirmed at launch that the new XT720 would only be coming through online retailers such as Play.com as it seeks to get the new device to market as soon as possible, rather than going down the route of stocking it through a network. However, the Motorola Milestone XT720 isn't going to be released until tomorrow from other retailers, although it is a little cheaper. Clove is offering the new phone for £381, where Play.com and Expansys are ranging the device for £360 each - perhaps waiting a day isn't that bad. 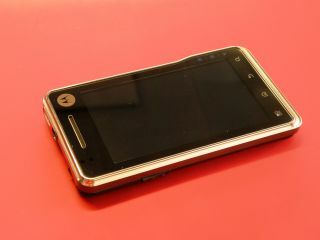 The new Motorola Milestone XT720 is the brands most hardware-heavy phone - HD video recording, large 3.7-inch WVGA screen and 8MP camera, along with Android 2.1, make this an interesting device. Stay tuned for our in-depth Motorola Milestone XT720 review as we take a deeper look at Moto's HTC Desire rival.